The Ford Mustang turned 50 earlier this year. Here’s a look back at 11 key moments from the past 50 years that helped make the original Pony Car the ultimate symbol of the American Way of the Road. 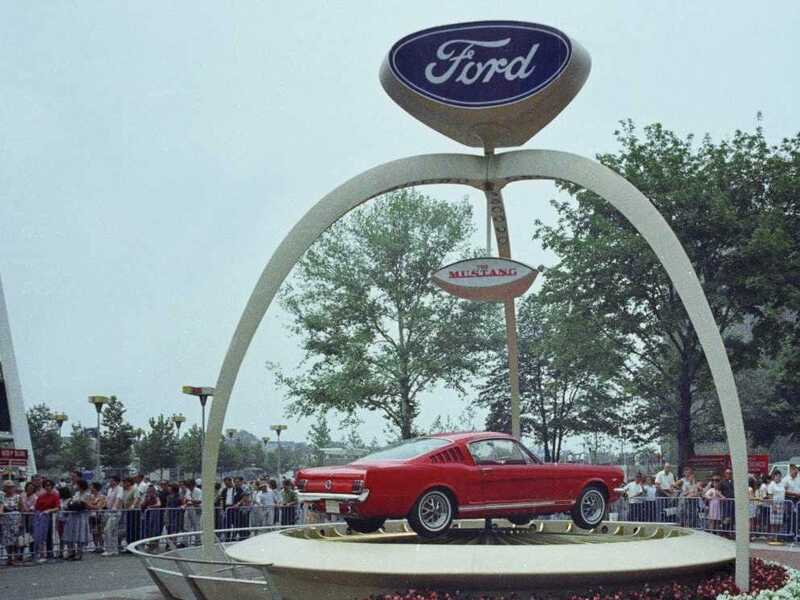 1964: In April, the very first Mustang, the 1965 model, made its debut at the World’s Fair in New York City. It was a smash hit from the start: Ford took 22,000 orders the first day, and had sold a million within two years. Price: $US2,368. 1964: Later that year, the Mustang made its film debut in “Goldfinger,” driven by villain Tilly Masterson. It loses out to Bond’s Aston Martin DB5 after a chase through the Swiss Alps. 1965: In 1964, Ford asked Carroll Shelby to create a performance version of the Mustang that would also be street-legal. The result was the 1965 Shelby Mustang GT350, a fastback model whose 289-cubic inch V8 engine produced 306 horsepower. 1971: The Mustang hits peak size, ending up a foot longer and 600 pounds heavier than the original. 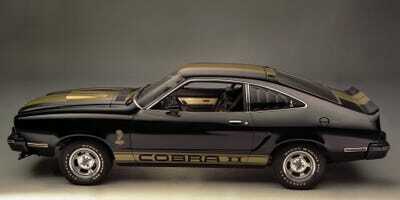 1974:Ford slimmed down the pony car, introducing the Mustang II. The new version was 19 inches shorter and 490 pounds lighter than the outgoing 1973 model, and reflected Americans’ growing concerns about fuel economy after the 1973 oil crisis. 1979: Facing an “identity crisis,” according to Ford, the Mustang’s designers used the automaker’s “Fox” body to make the 1979 Mustang, a longer, taller, and simpler car than the Mustang II. 1984: The limited production Mustang SVO brought a host of technical advances to the line, with a turbocharged 2.3-liter engine that boosted performance. 1987: Ford decided to base the new Mustang on a front wheel drive Mazda, then backed off after a public outcry. Instead, it put out a rear-wheel drive car with a major face lift and a V8 engine that pumped out 225 horsepower. 1994: In the early 1990s, Ford considered killing the Mustang. It decided to press ahead, and for its 30th birthday, gave the Mustang its first major redesign in 15 years. 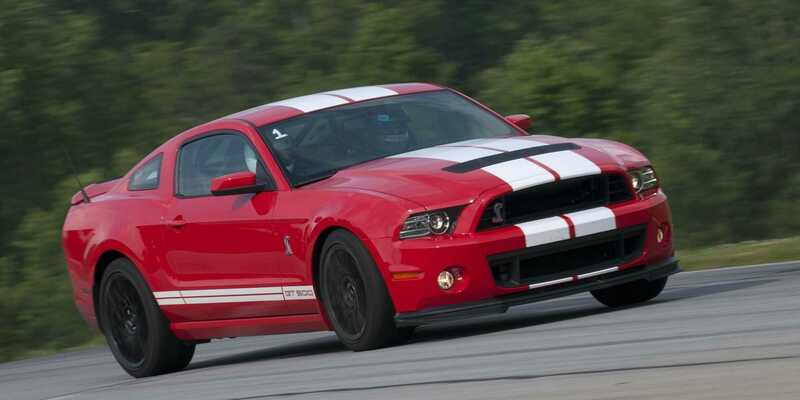 2013: With the 662-horsepower 2013 Shelby GT500, Ford gave America the world’s most powerful V8-powered production car.